We welcomed a new furry friend to our family this week. Meet Stitch... He's a stinker! No new questions on the message board. 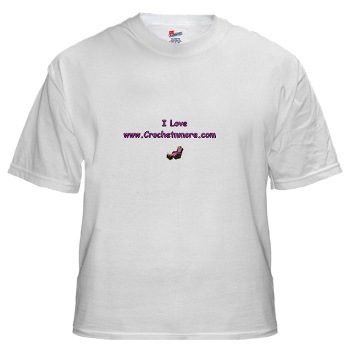 Feel free to stop by and/or invite your friends to post or help fellow crocheters. All posts subject to approval. And as Pharoah drew near, the sons of Israel looked, and behold, the Egyptians were marching after them, and they became very frightened; so the sons of Israel cried out to the Lord. Then they said to Moses, "It is because there were no graves in Egypt that you have taken us away to die in the wilderness? Why have you dealt with us in this way, bringing us out of Egypt? Is this not the word that we spoke to you in Egypt, saying, 'Leave us alone that we may serve the Egyptians'? For it would have been better for us to serve the Egyptians than to die in the wilderness." But Moses said to the people, "Do not fear! Stand by and see the salvation of the Lord which He will accomplish for you today; for the Egyptians whom you have seen today, you will never see them again forever. The Lord will fight for you while you keep silent." Then the Lord said to Moses, "Why are you crying out to Me? Tell the sons of Israel to go forward. And as for you, lift up your staff and stretch out your hand over the sea and divide it, and the sons of Israel shall go through the midst of the sea on dry land. And as for Me, behold, I will harden the hearts of the Egyptians so that they will go in after them; and I will be honored through Pharoah and all his army, through his chariots and his horsemen. Then the Egyptians will know that I am the Lord, when I am honored through Pharoah, through his chariots and his horsemen." And the angel of God, who had been going before the camp of Israel, moved and went behind them; and the pillar of cloud moved from before them and stood behind them. So it came between the camp of Egypt and the camp of Israel; and there was the cloud along with the darkness, yet it gave light at night. Thus the one did not come near the other all night. Then Moses stretched out his hand over the sea; and the Lord swept the sea back by a strong east wind all night, and turned the sea into dry land, so the waters were divided. And the sons of israel went through the midst of the sea on the dry land, and the waters were like a wall to them on their right hand and on their left. Then the Egyptians took up the pursuit, and all Pharoah's horses, his chariots and his horsemen went in after them into the midst of the sea. And it came about at the morning watch, that the Lord looked down on the army of the Egyptians through the pillar of fire and cloud and brought the army of the Egyptians into confusion. And He caused their chariot wheels to swerve, and He made them drive with difficulty; so the Egyptians said, "Let us flee from Israel, for the Lord is fighting for them against the Egyptians. Then the Lord said to Moses, "Stretch out your hand over the sea so that the waters may come back over the Egyptians, over their chariots and their horsemen." So Moses stretched out his hand over the sea, and the sea returned to its normal state at daybreak, while the Egyptians were fleeing right into it; then the Lord overthrew the Egyptians in the midst of the sea. And the waters returned and covered the chariots and the horsemen, even Pharoah's entire army that had gone into the sea after them; not even one of them remained. But the sons of Israel walked on dry land through the midst of the sea, and the waters were like a wall to them on their right hand and on their left. Thus the Lord saved Israel that day from the hand of the Egyptians, and Israel saw the Egyptians dead on the seashore. And when Israel saw the great power which the Lord had used against the Egyptians, the people feared the Lord, and they believed in the Lord and in His servant Moses. "And the Lord will deliver them up before you, and you shall do to them according to all the commandments which I have commanded you. Be strong and courageous, do not be aftaid or tremble at them, for the Lord your God is the one who goes with you. He will not fail you or forsake you." And when He got into the boat, His disciples followed Him. And behold, there arose a great storm in the sea, so that the boat was covered with the waves; but He Himself was asleep. And they came to Him, and awoke Him, saying, "Save us, Lord; we are perishing!" And He said to them, "Why are you timid, you men of little faith?" Then He arose, and rebuked the winds and the sea; and it became perfectly calm. And the men marveled, saying, "What kind of a man is this, that even the winds and the sea obey him? Beloved, let us love one another, for love is from God; and everyone who loves is born of God and knows God. The one who does not love does not know God, for God is love. By this the love of God was manifested in us, that God has sent His only begotten Son into the world so that we might live through Him. In this is love, not that we loved God, but that He loved us and sent His Son to be the propitiation for our sins. Beloved, if God so loved us, we also ought to love one another. No one has beheld God at any time; if we love one another, God abides in us, and His love is perfected in us. By this we know that we abide in Him and He in us, because He has given us of His Spirit. And we have beheld and bear witness that the Father has sent the Son to be the Savior of the world. Whoever confesses that Jesus is the Son of God, God abides in him, and he in God. And we have come to know and have believed the love which God has for us. God is love, and the one who abides in love abides in God, and God abides in him. By this, love is perfected with us, that we may have confidence in the day of judgment; because as He is, so also are we in this world. There is no fear in love; but perfect love casts out fear, because fear involves punishment, and the one who fears is not perfected in love. We love, because He first loved us. If someone says, "I love God," and hates his brother, he is a liar; for the one who does not love his brother whom he has seen, cannot love God whom he has not seen. And this commandment we have from Him, that the one who loves God should love his brother also. but the Son of Man has nowhere to ____ his ______." you are instructed to "work in the row ends". The row ends are the first & last stitches you did on each row. 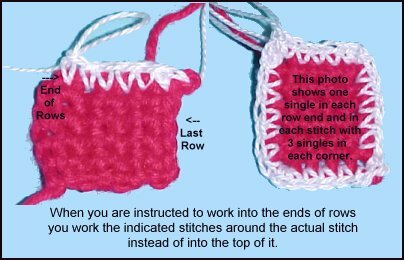 If the rows are single crochet stitches then the "end of the row" refers to making the required stitches around the first & last single crochet stitches on each row. into each unworked loop of the foundation chain, one single in each row end up the opposite side, and one single in each stitch on the last row I had made. For each corner I worked 3 singles so the motif wouldn't curl up. 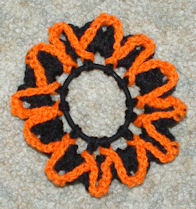 When you need to embellish a crochet project that will be seen from both sides once you're finished with it... be sure to pay attention to both sides as you make the embellishments. I am desperately looking for a cabled hat to make for my 10 yr old nephew. 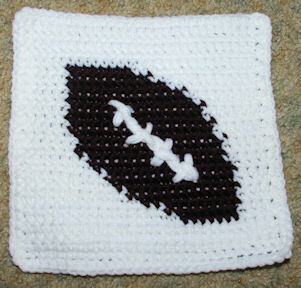 I am looking for a crochet pattern. I had come across your cabled hat pattern and seen where it says adult woman size, do you think if it were in a brown that it would be fine for a boy's hat, or is the stitching too feminine looking? I think the Cable Hat pattern would work fine for a boy or a girl. change the hook and/or yarn size to adjust the size. Hi. 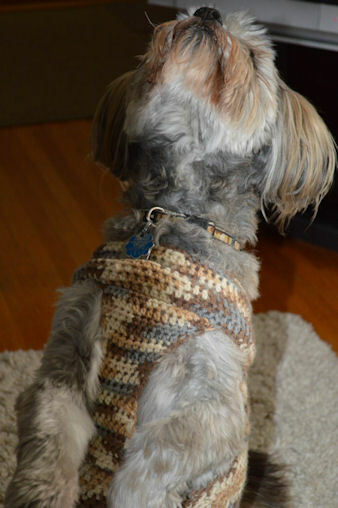 I just wanted to thank you for the doggie sweater pattern. I noticed my dog shivering, so got right down to it. I'm very new to crocheting. This was my second project attempt, after doing a couple of dish towels, and I think it came out great. I didn't have to readjust the size much because it fit Pepper just fine. I built it just as you describe but after a couple of days of wearing it, we noticed it would ride up his neck and down his body. The leg hole would spread apart so I had to craft a little hourglass piece (which taught me how to increase/decrease stitches) and slip stitch that betweet the legs to keep everything together. Now, its perfect! And the matching camouflage colours are just perfect for this male dog (didn't want anything too froo froo). Here are a couple of pictures of the finished product. He's toasty warm now. Thanks again. as I can get it finished (running a bit behind schedule today). 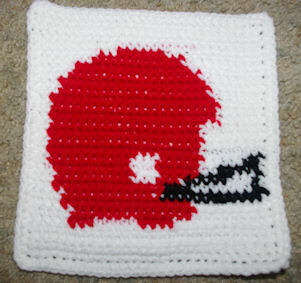 I am crocheting the Row Count Christmas Tree Afghan Square, how do you do the tree, do you cut after you do the 4 single crochet and add 12 row of white. Do you cut the green or leave it alone? It doesn't look right to me.Please help me. I never cut a color until I finish with it. then drop it so I can pick it up on the way back. This is the beginning of a pattern and I have no idea as to what to do after chain 45.
you should have 44 slip stitches when you finish. Slip stitch in every stitch on Row 1.
do you think you could come up with some designs for some book related ornaments for Christmas, like a Snitch from Harry Potter or the sign of the deathly Hallows? Items like those are trademarked, therefore it is illegal to design them. I found your pumpkin pencil toppers and made them for my son's third grade class for halloween- They all loved them and so did their parents. 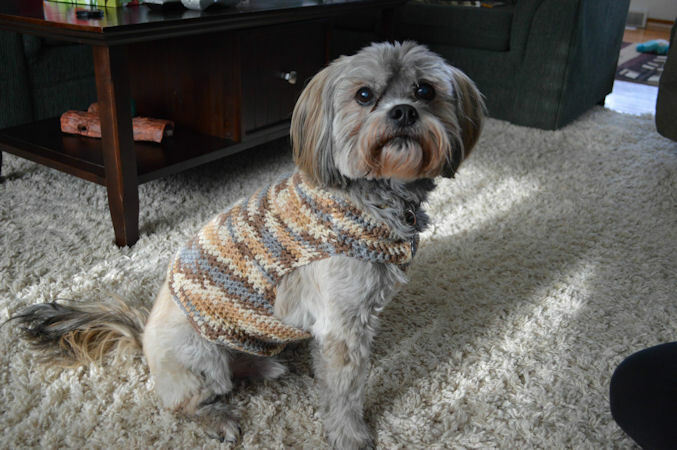 Thank you for posting the pattern!! 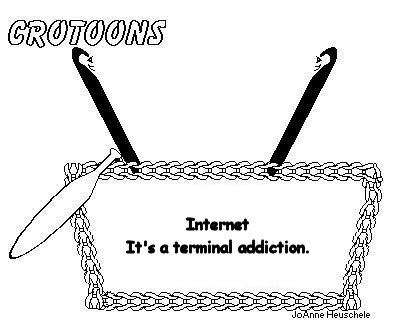 I just started crocheting at the beginning of the year so I haven't quite figured out how to write my own patterns so I so appreciate you posting this. work another double crochet into the same space. That's great! 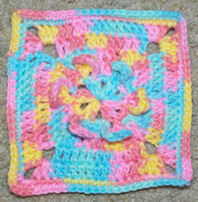 Crocodile Stitch is so beautiful! No errors, just a question. Do you have a pattern for this style hat for teens and adults? I absolutely love it and so does my teenage gdaughter. Thanks for sharing your pattern. Have a super blessed day. Thanks for asking. I’m sorry to say I do not have an adult size pattern for a puff stitch hat. I will add this to my pattern list for future designs. John went to visit his 90-year-old grandfather in a very secluded rural area of Saskatchewan. After spending a great evening chatting the night away, the next morning John's grandfather prepared a breakfast of bacon, eggs, and toast. However, John noticed a film-like substance on his plate. He questioned his grandfather, "Are these plates clean?" His grandfather replied, "They're as clean as cold water can get 'em. Just you go ahead and finish your meal, Sonny!" Again, John was concerned about the plates, as his appeared to have tiny specks around the edge that looked like dried egg. He asked, "Are you sure these plates are clean?" Without looking up, the old man said, "I told you before, Sonny, those dishes are as clean as cold water can get them. Now don't you fret. I don't want to hear another word about it!" Later that afternoon, John was on his way to a nearby town, and as he was leaving, his grandfather's dog started to growl and wouldn't let him pass. John yelled and said, "Grandfather, your dog won't let me get to my car!" Without diverting his attention from the football game he was watching on TV, the old man shouted, "Coldwater, go lay down now, yah hear me!" Mama tells me that you went to the hospital for some tests. I hope you get an "A"! woman called up hysterical after finding a skunk in her basement. show's host. "That'll get rid of it." An hour later the woman called back, even more upset. "Now I have TWO skunks in my basement!" When my brother and sister-in-law were expecting a baby, I asked my four-year-old niece, Justina, "What do you want, a baby brother or a baby sister?" "Aunt Donna," she chided, "sometimes you just gots to take what God gives ya." After Sunday school two little boys were standing in the church lobby. As they were talking a pretty little girl from their class walked by them. One of the little guys said to the other, "When I quit hating girls, she's the first one I'm going to quit hating." Nothing rattles my father-in-law, especially when the St. Louis Cardinals are on TV. One day we were watching a game when my mother-in-law shrieked from the kitchen, "Jim, there's a horsefly in here!" 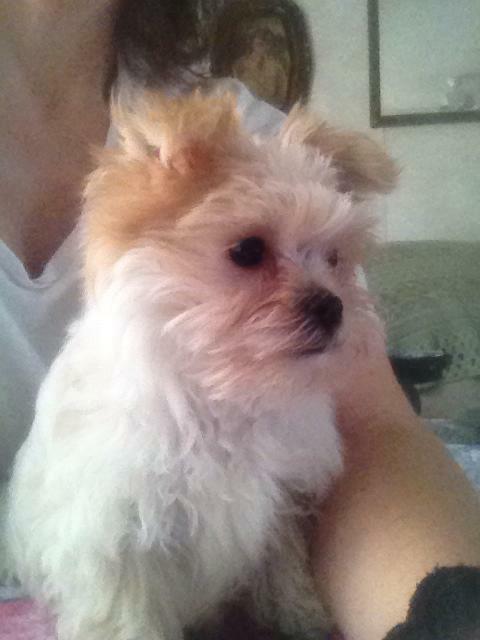 Not taking his eyes off the screen, he barked back, "Give it some cough syrup." Several weeks later, he came home from work to a large carton in the middle of the floor. Inside were free samples of the many products the company produced: soaps, detergents, toothpaste, and paper items. "Well, what do you think?" his wife asked, smiling. "Next time," he replied, "I'm writing to General Motors!" "I don't know," he replied, "I never tried." Several days ago as I left a meeting at our church, I desperately gave myself a personal TSA pat down. I was looking for my keys. They were not in my pockets. A quick search in the meeting room revealed nothing. Suddenly I realized, I must have left them in the car. Frantically, I headed for the parking lot. My wife, Diane, has scolded me many times for leaving the keys in the ignition. My theory is the ignition is the best place not to lose them. Her theory is that the car will be stolen. As I burst through the doors of the church, I came to a terrifying conclusion. Her theory was right. The parking lot was empty. I immediately called the police. I gave them my location, confessed that I had left my keys in the car, and that it had been stolen. Then I made the most difficult call of all, "Honey," I stammered. I always call her "honey" in times like these. "I left my keys in the car, and it has been stolen." There was a period of silence. I thought the call had been dropped, but then I heard Diane's voice. "Ken" she barked, "I dropped you off!" Now it was my time to be silent. Embarrassed, I said, "Well, come and get me." Diane retorted, "I will, as soon as I convince this policeman I have not stolen your car?" About 90 fifth-graders piled into the airliner I was flying, on their way home from a school trip. to settle down and let the other passengers get some sleep. No amount of reasoning seemed to help, until I thought of the solution that actually worked. I picked up the PA mike in the cockpit and announced, "Children, this is the captain speaking. Don't make me stop this airplane and come back there!" 8 AM the next morning a nicely dressed young man appeared at their front door. "Can you fix breakfast by 7 AM every day?" the minister wife asked the young man. "Well...... I guess I can," came the bewildered reply. also?" the minister's wife continued. going to be that much work, you can count me out, right now!"